Today we will talk about some of the key differences between trustors, trustees, and beneficiaries. The first one we will talk about is the “trustor”. A trustor is an individual that creates the trust. They are the person who is contributing to the trust to build the monetary value of the trust in question. This can be in terms of property or money. Either way, when it comes to a trust, the person contributing is called a trustor. The next term that we will talk about today is the “trustee.” This is the person who is in charge of managing the trust. In most cases, this individual is appointed by the trustor. There are some other situations where this is not the case. This is usually a court appointed position in many instances. The next term on our list today is the “beneficiary.” The beneficiary is the person who directly derives advantage from the situation. This is the case in a trust or other situation such as this. For example, if someone dies and that person has a life insurance policy the money from said policy is given to the beneficiary. So if you are in a situation where you find yourself inheriting something then you would be a beneficiary. In conclusion, there is a lot more you can learn to help you better your understanding of these three terms. If you would like to learn more we suggest completing research online where you can find vast resources to help you with these words and ones like them. The most credible sources for this type of information are government websites. These are websites that end in .gov. If you would like to learn more about these topics or the terms and rules in your area these websites can be a great help. 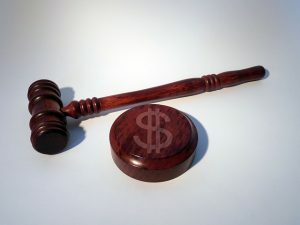 Does A Paralegal Get Paid?